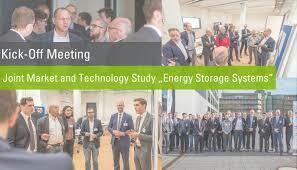 Invitation to a matchmaking event on energy storage on July 10, 2018 from 9.30 clock at AGIT in Aachen. Energy storage is one of the most attractive growth markets of the future. This inclu­des not only batteries, but also mechanical, thermal, chemical, electronic and power-to-gas (P2G) solutions. We want to connect companies from the HYPEREGIO (https://hyperegio.eu/i2m/) among each other and support them in their activities in this dynamic market segment. Of course, we are considering the entire value chain, from the material system through the finished components to the services. 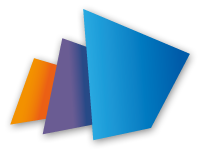 In the framework of the EU-funded HYPEREGIO project "Innovation2Market", which is managed by AGIT and supported by AMAC as Business Developer, we offer you to promote your innovations through cross-border cooperations and projects. This can be either a cooperation with another industrial company or a feasibility study carried out by a research institute etc. For this purpose, you can receive a vouchers of EUR 3,000 or EUR 6,000 or you can receive support in working out proposals for funding projects. Our aim is to support you in finding the right partner(s) for your innovations. In the attached flyer you will find the event agenda with further information on keynote speeches and workshops. We look forward to your participation. 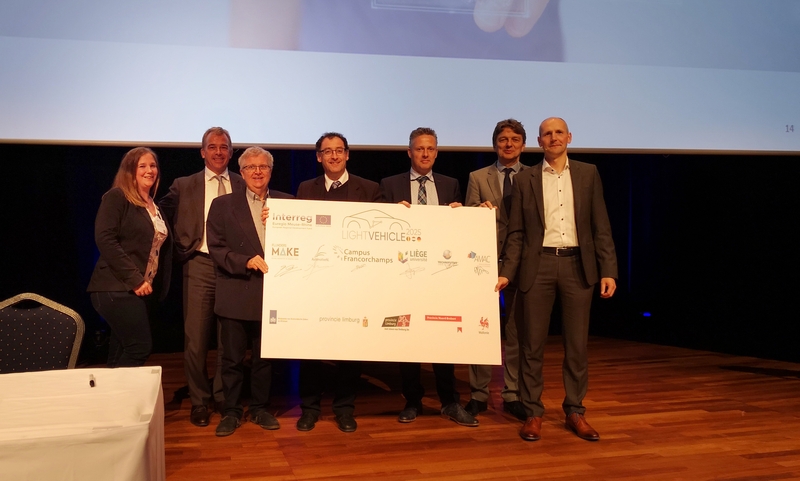 On May 23rd 2018, the Interreg Automotive project "Light Vehicle 2025" which AMAC is supporting, has been officially kicked-off at the Automotive Congress in Eindhoven, the Netherlands. The aim of the project is, among others, to strengthen the economy in the Euregio Meuse-Rhine. Please find the corresponding press release with further information here. 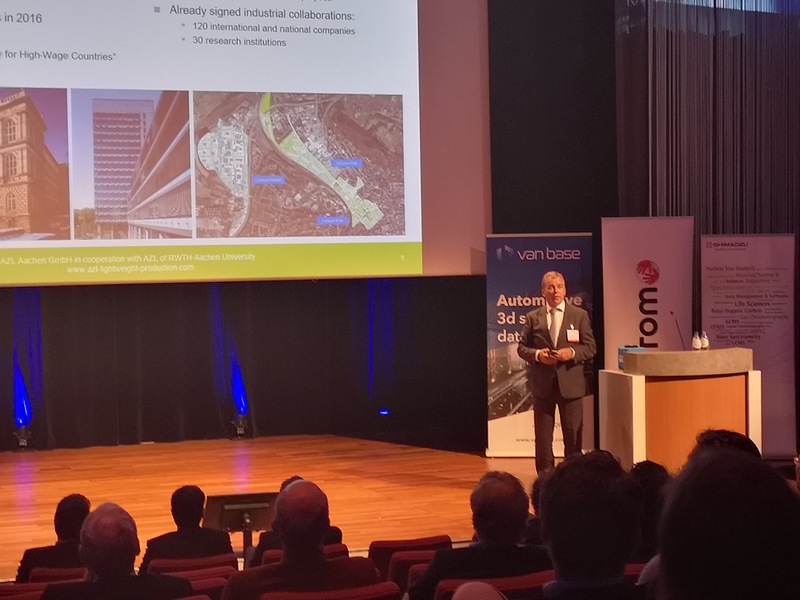 On May 23rd, 2018, Dr. Michael Effing will give a presentation at the Automotive Congress in Eindhoven. Further information about the congress and exhibition can be found here. We are looking forward to seeing you there! On April 19th 2018, AZL will open its doors for another OPEN DAY. We are looking forward to welcoming you in order to give you an insight about the lightweight-related activites on the Campus and start your networking! Please find the program here. It is still time to register! After AZL kicked-off the joint market and technology study on energy storage systems with 19 participating companies, we visited the energy storage systems trade fair in Düsseldorf to get deeper insights into trends and players of the fast growing market. For more details on our study which is still open to join, please follow the link.